Actor Ella Ballentine (L) and executive producer (and L.M. Montgomery’s granddaughter) Kate Macdonald Butler. Photo: Steve Wilkie. Move over Megan Follows, there’s a new Anne in town. Breakthrough Entertainment and Corus Entertainment have jointed forces on a new two-hour TV-movie adaptation of our country’s most enduring story for young readers. 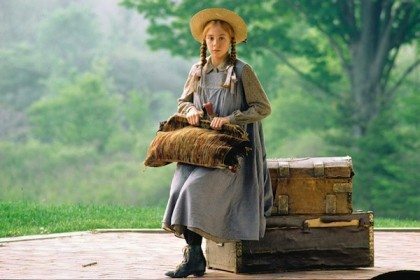 Lucy Maud Montgomery’s Anne of Green Gables is set to air on Corus’s YTV in early 2016. The Canadian production will feature a script by Slings and Arrows scribe Susan Coyne, and direction by Gemini and Director’s Guild of America Award–nominated John Kent Harrison, whose work includes the 2009 TV movie The Courageous Heart of Irena Sendler. Actress Ella Ballentine will step into the role of “Anne with an e” Shirley. Keeping the Montgomery connection strong, the author’s granddaughter, Kate Macdonald Butler, is among the movie’s executive producers. 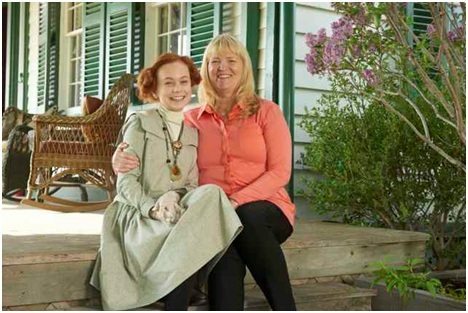 “From the inspired casting, the tender script and its eloquent adherence to the story of Anne Shirley, my family is so proud to be associated with bringing Breakthrough’s film adaptation to a new generation of viewers,” says Butler in a press release. While those of us who grew up with the 1985 CBC television movie adaptation starring Follows as Anne and Jonathan Crombie as Gilbert may come to this new production with a good dose of skepticism, there’s no arguing with the wisdom of introducing a new crop of youngsters to Montgomery’s classic story. Jonathan Crombie, Gilbert Blythe, and the "Perfect Man Archetype"